This has been confirmed! and the Focus is all about Female SUP'ers! Women of Perth- We Want YOU! 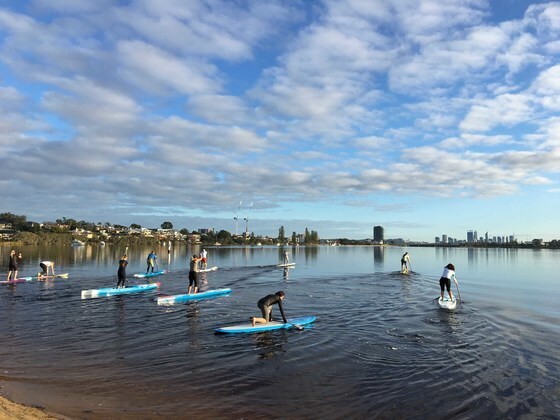 If you have ever wanted to try Stand Up Paddle Boarding, if you have had a crack before and want to improve your skills, or if you are a regular SUP'er and just want to enjoy a fun morning on the water celebrating this amazing sport with other like minded chicks. SUPWA will be holding a ladies only clinic. 30 minutes of specialised coaching, followed by the usual 2.2km or 4.2km Loop. For novice paddlers there will be the option to paddle a shorter modified loop. PLEASE NOTE - Regular paddle loop enthusiasts - We will be starting a little later at 7.45am. Please stay and join us for morning tea after the event. This Paddleloop counts towards the Pod Points Paddleloop Series.